Roltime offers a complete range of fulfillment services that gives your business an advantage and allows you time to market your product. 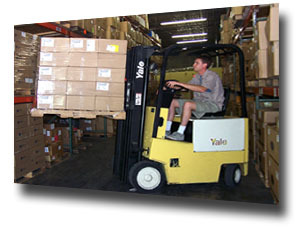 Our reputation of consistently exceeding the requirements of our customers extends to our wide range of value-added order fulfillment services. We’re committed to providing complete support of your sales and marketing teams and accurate, cost-effective, timely delivery of products to your customer base. Fulfillment is one of our core competencies so we can guarantee the systems and procedures your company needs are in place and ready to meet all of your needs. We become an extension of your company, developing services that work for you, whether your needs are in supply chain management and logistics, product distribution, returns management, web fulfillment, or call center services. What’s more we pride ourselves on the flexibility to adapt quickly to your changing needs. Client access and order processing through ROLTIME’s software is as simple as logging onto the Internet. With “real-time” access, you can see exactly what is in stock, backorder, pending, or ready to ship. We can also accept orders placed by phone, fax, e-mail, XML, Excel and CSV files or download from other web order systems. Customers will be able to place orders directly through your Internet site or another alternate site and receive an e-mail confirmation of their order within minutes. This “real-time” order processing allows you and your customers to know exactly what is available, a brief description and a picture of the product. In addition to receiving product in a timely and efficient manner, customers can receive packing lists verifying their order or variable data personalized letters. Inventory Storage and Management – your inventory is stored, managed and monitored in our large facility allowing you to keep a larger more varied inventory. Leading Edge Technology – the latest in fulfillment technology ensures fast, accurate deliveries without having to invest in your own systems. A Complete Range of fulfillment Services – catalog, order fulfillment, direct mail, e-commerce, kitting and assembly, literature fulfillment and pick/pack/ship services are available. A Range of Delivery Options – same day, next day and next week delivery options give your customers the flexibility they need and offer you the option of building in a sliding fee scale. Full Service Integration – our fulfillment center integrates with our service supply chain management & logistics, product distribution center, call center support and returns management services.